Welcome Spring in to your home! Welcome spring into your home! Stitch up some super quick & unique ornaments or bowl fillers ... 8 designs in one. 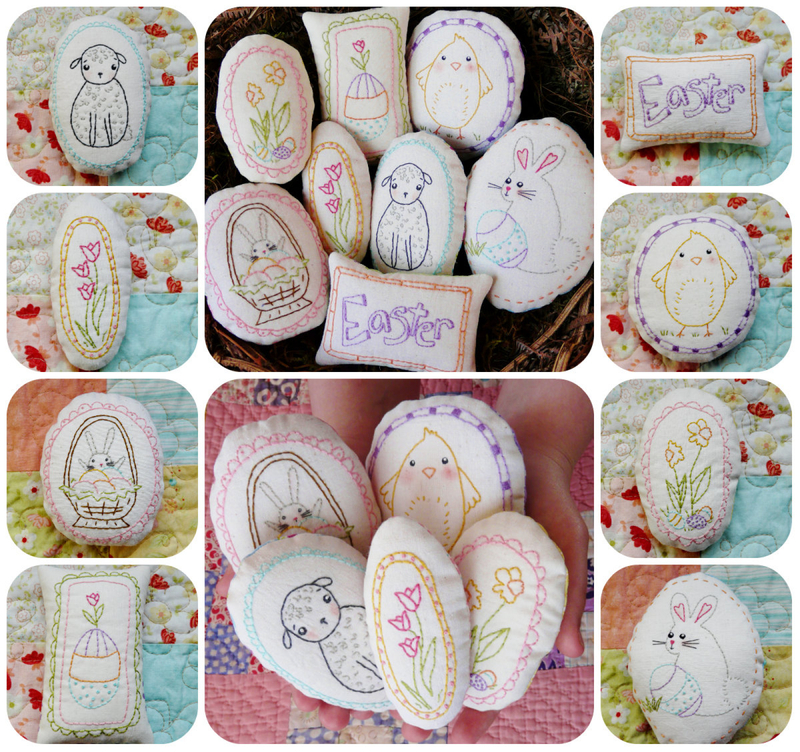 There are bunnies, a lamb, chick, flowers and more! They make a great gift and look amazing sitting on a little shelf or hanging on a tree or knob. 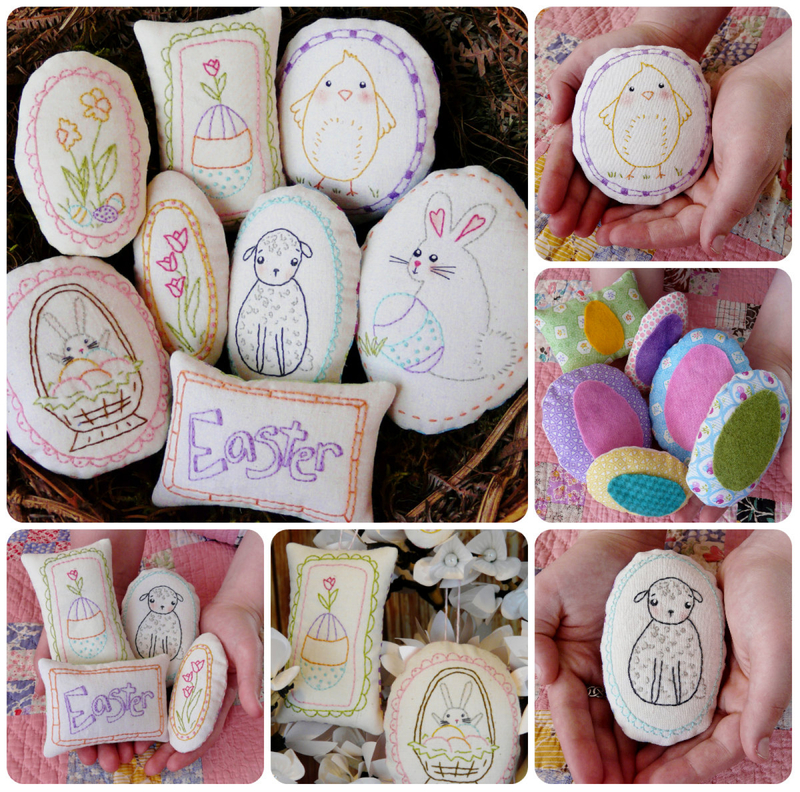 Each ornament has a wool or felt egg shape on the back. Use bakers twine for a sweet hanger. 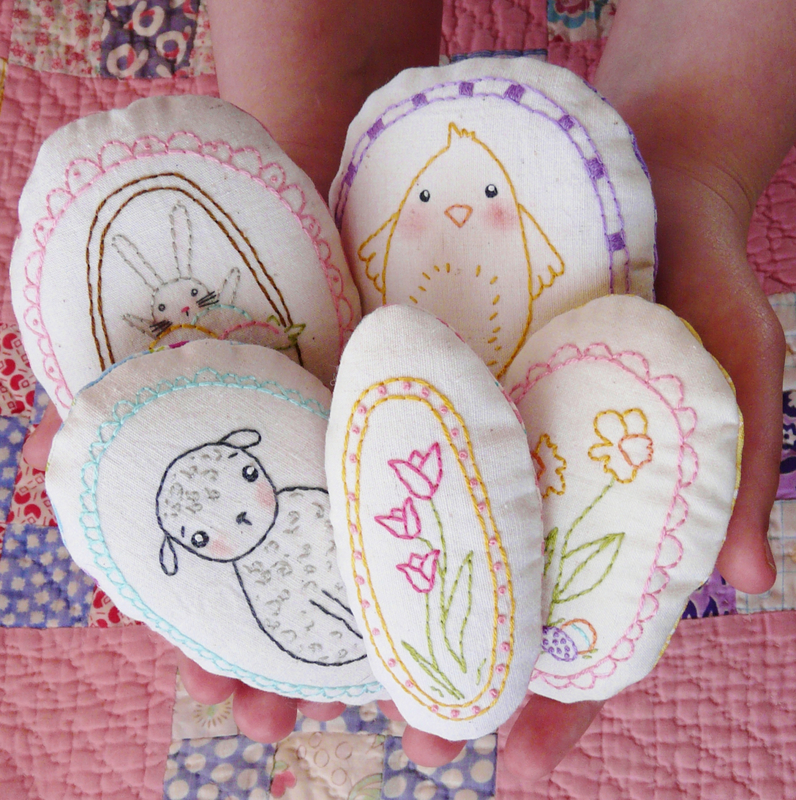 *You could also make a darling little quilt with the designs. from 3 1/8" x 3 5/8" to 1 3/8" x 3 1/8"
from 3 3/4" x 4 3/4" to 1 7/8" x 3 7/8"